A man who "binged on illegal material" and posted a child abuse image on a chat website has been sentenced. Andrew Hack, from Somerset, admitted two counts of distributing indecent images of children and one of making them by downloading. He was found with 1,500 pictures of teenage girls in sexual poses when police raided his home, a court heard. 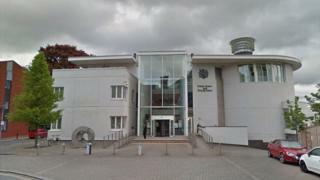 At Exeter Crown Court, Hack, 53, was given an eight-month jail term suspended for two years. His home was raided after British police were tipped off by the US National Centre for Missing and Exploited Children. The sender of an image, showing serious abuse, posted on the Chatstep website was traced back to the IP address of Hack's home in the village of Enmore, near Bridgwater. Search terms in his computer also showed an interest in underage girls, the court heard. Harry Ahuja, defending, said Hack was "addicted" to the images but was also disgusted at himself, which led him to delete items and then go back to search for more. "He is disgusted and ashamed at what he has done," he said. Judge Peter Johnson said Hack had "admitted bingeing on illegal material" and "admitted deleting a lot of it" before accessing more. "It would appear that you were not trying to evade detection, but were seeking to break out of the cycle of offending," he said. "It is plain you are aware of the impact on the victims of these images, who are exploited at an extremely impressionable age." Hack was also handed a sexual harm prevention order.